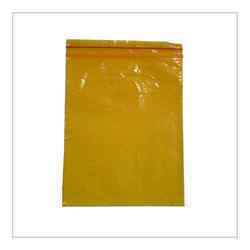 Prominent & Leading Manufacturer from New Delhi, we offer coloured zip lock bags, coloured zip lock bag, mini grip bags and self sealing bags. 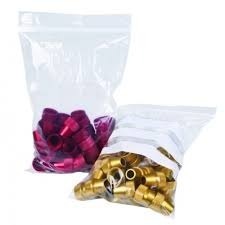 Backed by our years of dedication and in depth knowledge of the material and the industry requirement we been able to manufacture and supply a designer range of Coloured Zip Lock Bags, that are specially fabricated using best quality components, these Zip Lock Bags are durable and ensure long lasting service. One can also avail these coloured bags in standard as well as customized specifications. e offer our customers a extensive assortment of Mini Grip Bag. These are compact, durable and has high holding capability. These are fashioned by experienced industry experts utilizing world class products and available in different designs, colors, sizes and shapes. We also provide these bags at most reasonable market rates. 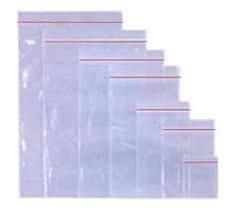 Self Sealing Bags are used every day by companies to deliver online orders or to send brochures and marketing material and also used for individuals. Transparent mailing courier order bags are ideal for this type of posting as they are strong, tamper proof and water resistant, ensuring whatever is being mailed arrives safely and in the same condition as when it was posted. Looking for Coloured Zip Lock Bags ?